A beautifully designed landscape can increase the value of your home and add a level of comfort to outdoor living areas. The addition of a deck or gazebo is the perfect gathering place for family or friends while walkways can compliment the landscape and home’s exterior. 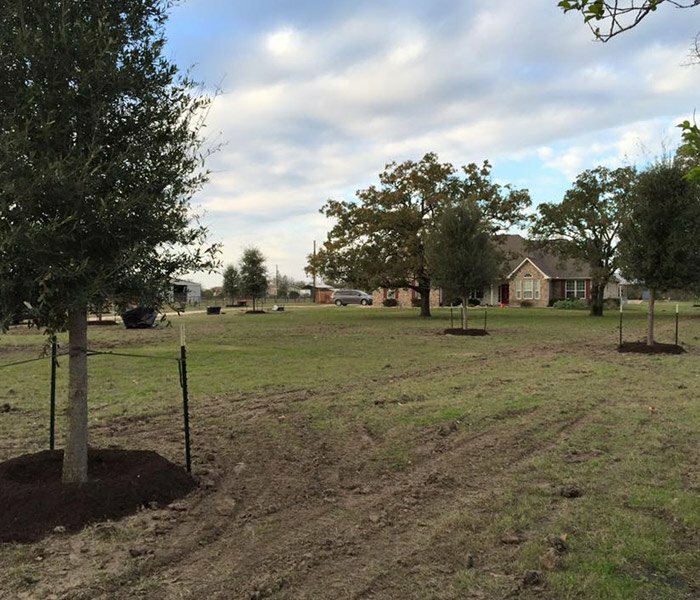 We can construct flowerbeds and make suggestions for plants that do well in the Bryan and College Station, Texas area. 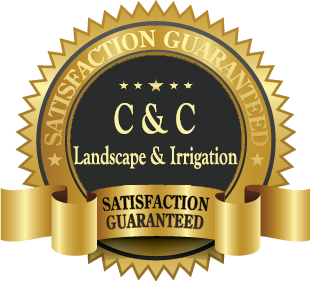 The staff at C&C Lawn and Irrigation will be happy to discuss design plans for beautifying your landscape. We can provide you with anything from a simple sketch to a detailed blueprint of your landscape plan. C&C Lawn can maintain all of your flowerbeds, trees, shrubs etc. 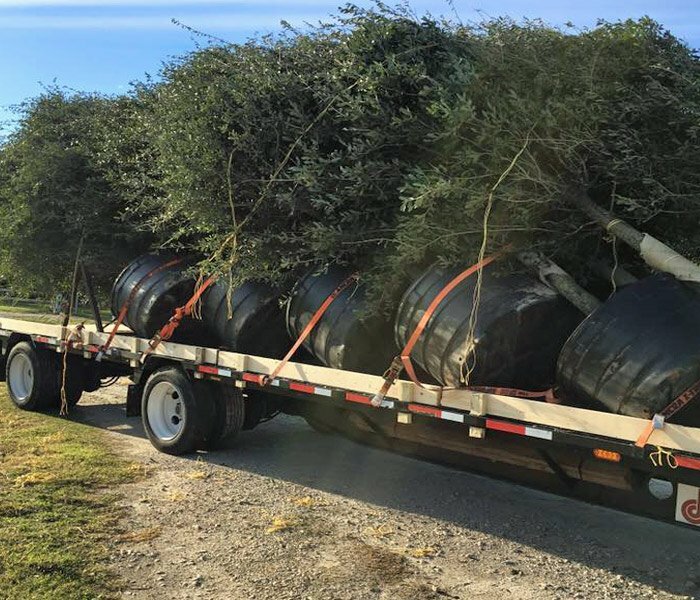 on a schedule to keep everything looking great year round. 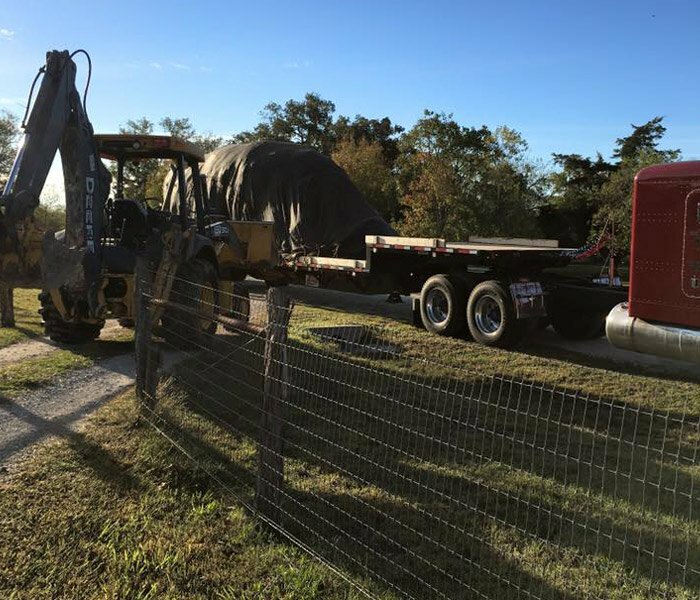 Our team can build your beds with a variety of materials ranging from simple steel edging to many types of rock sizes and shapes. Let us know what materials you like and we will offer suggestions and samples to best suit your need. 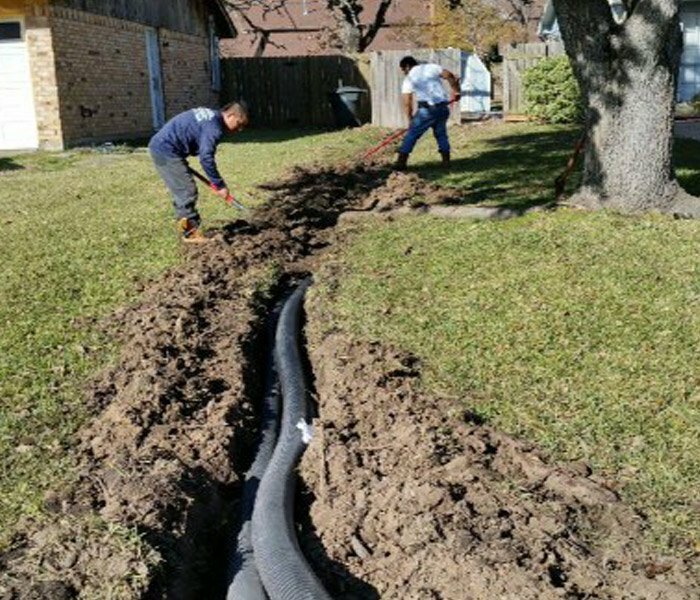 French drains are the perfect method for directing water away from a problem area. All drains are precision graded with a laser and not “eyed.” We can add drain boxes where needed to quickly move water away from a problem spot or use a perforated pipe which allows water to seep in and be carried away from an area that is always saturated. We can use tractors to mow vacant lots or fields that are overgrown. Any type of dirt work or grade work for new lawn installations or drainage can also be performed. Maximize your outdoor living space by adding a beautiful deck. Large or small, a deck can transform an average looking backyard into something that is spectacular. Installing a new fence or adding to an existing fence is a great way to enjoy your landscape in privacy. 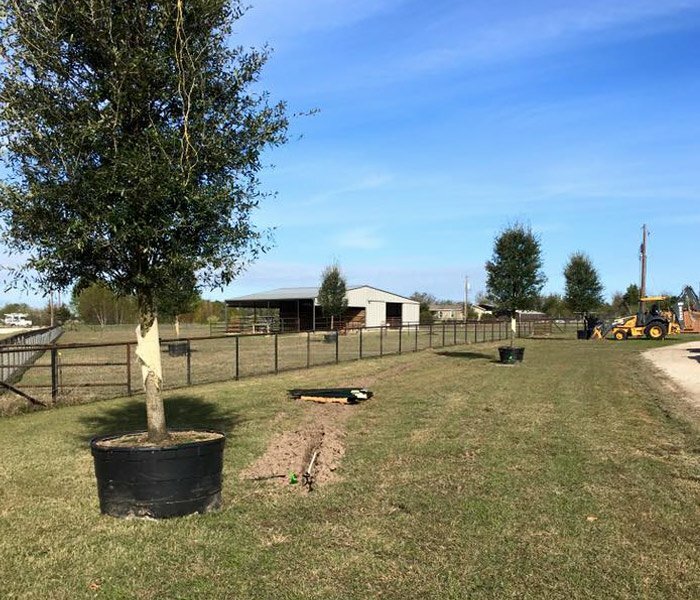 Fencing material includes wood, chain link and wrought iron. Walkways connect one part of your landscaping to another and can be formal or informal. The most popular materials we use are gravel, flagstone, brick pavers, or concrete. If you have a lake front property or a private pond, we can construct a pier that your whole family can enjoy. We can build a gazebo or pergola to be very elaborate or very simple. Either way, they provide a perfect shaded resting area in your yard. Concrete work includes curbs, driveways, walkways, and patios. There are many different types of concrete textures and colors that can be added to any landscape. Materials can range from flagstone rock of many different sizes and colors to brick pavers or concrete to meet your needs. 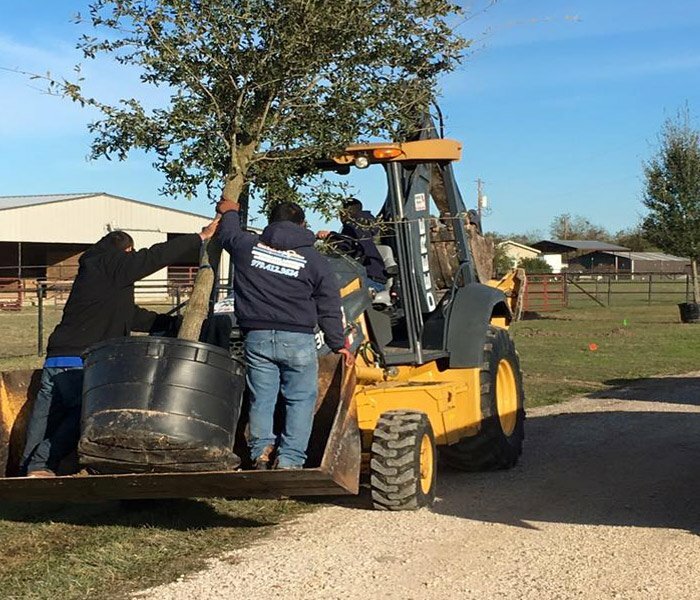 We can plant new trees and remove dead or unwanted trees on your landscape or property.